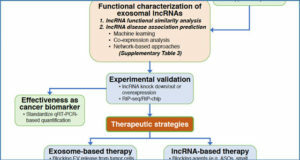 Long non-coding RNAs (lncRNAs) are emerging as important regulators of gene expression networks, acting either at the transcriptional level, by influencing histone modifications, or at the post-transcriptional level, by controlling mRNA stability and translation. Among the gene expression networks known to influence the process of oncogenic transformation, the one controlled by the proto-oncogene MYC is one of the most frequently deregulated in cancer. In B-cell lymphomas, the MYC gene is subject to chromosomal rearrangements that result in MYC overexpression. In many other cancers, the region surrounding MYC is subject to gene amplification. MYC expression is also controlled at the level of protein and mRNA stability. Neoplastic lesions affecting MYC expression are responsible for a drastic change in the number and the type of genes that are transcriptionally controlled by MYC, depending on differential promoter affinities. 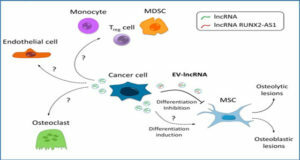 Transcriptome profiling of tumor samples has shown that several lncRNAs can be found differentially regulated by MYC in different cancer types and many of them can influence cancer cell viability and proliferation. 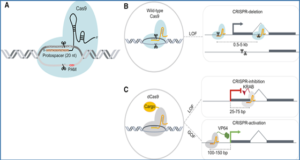 At the same time, lncRNAs have been shown to be able to control the expression of MYC itself, both at transcriptional and post-transcriptional levels. 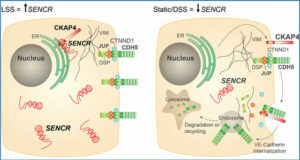 Given that targeting the MYC-dependent transcriptional program has the potential to reach broad anticancer activity, molecular dissection of the complex regulatory mechanisms governing MYC expression will be crucial in the future for the identification of novel therapeutic strategies. In the upper part, a graphic representation of the MYC genomic locus is shown, with the lncRNAs (the “red worms”) involved in the regulation of MYC transcription, MYC mRNA stability, MYC translation and MYC protein stability. Once the MYC protein is formed it heterodimerizes with MAX to form a transcriptional competent factor that binds to the E-box in order to control gene expression. 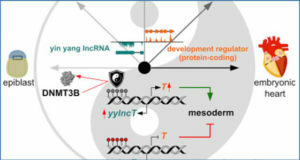 The lower part of the graphic shows the lncRNAs that are transcriptionally regulated by MYC. 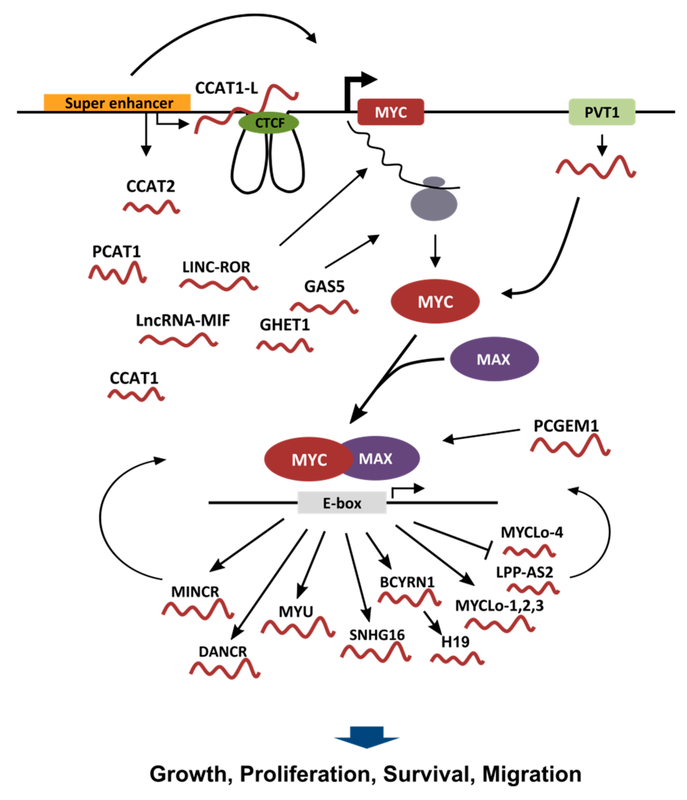 Some MYC regulated lncRNAs are also able to affect the transcriptional activity of MYC itself. 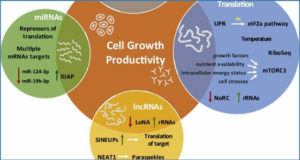 Most of the lncRNAs regulated by MYC have been described to influence growth, proliferation, survival or motility of cancer cells.